Are you tired of heaving that heavy old window unit into position every summer? Are you sick of the loud thrumming, endless cycling, and spiking electricity bills? Maybe it's time to switch to a technology that offers efficient, quiet, all-season comfort. 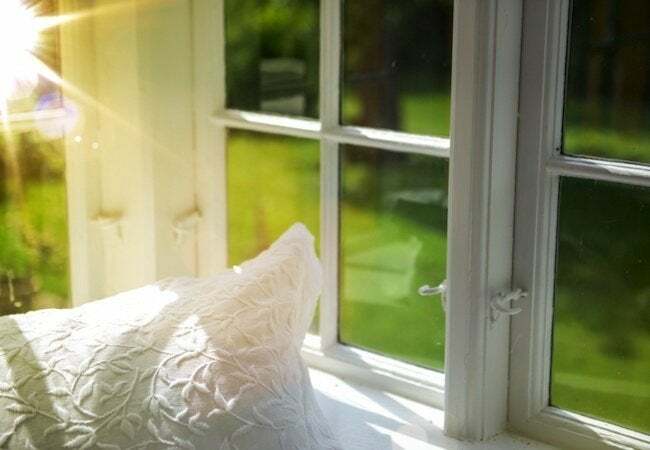 It’s the time of year when, if you listen carefully, you can practically hear the sighs of homeowners again facing the prospect of a sizzling summer with relief provided by nothing more than a window air conditioner. Make no mistake: Under certain circumstances, there’s no more sensible option. Because they’re portable and relatively easy to install, window units are perhaps the best temporary cooling solution available. But when viewed over the long haul, window ACs become much less attractive. For one thing, they are expensive to operate. Sure, there’s no beating the low up-front purchase price, but when they’re used frequently, even the latest energy-smart models run up the utility bill. In addition, window units obstruct the view to the outdoors and block natural light from entering the home. They are noisy, too, and on the ground floor at least can pose a security risk. And then there’s that annual ritual of dragging them out of storage, hoisting them into position, securing them safely into the window—and then, come fall, repeating the process in reverse. The list goes on. No wonder so many homeowners seek a different approach. Increasingly, fed-up homeowners are embracing mini-splits like the iSeries, a new offering from category leader Unico. 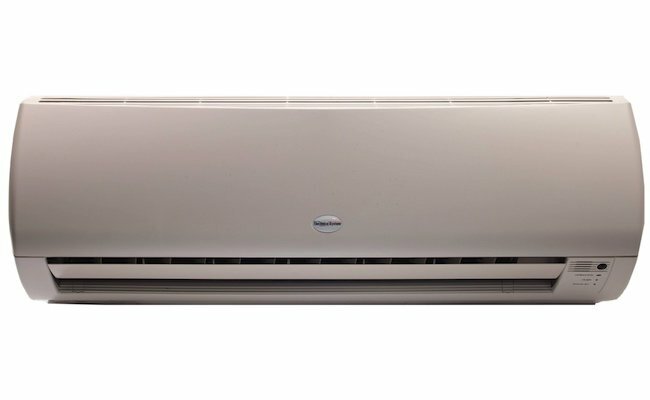 Already well established in Europe, Asia, and parts of the United States, mini-split technology offers perhaps the best alternative to window ACs, not least because of the system’s compact, streamlined design. In contrast with extensive, elaborate setups that hog space and require renovation for installation, the iSeries consists of just two discrete components. One goes outdoors and the other is mounted on the wall in the room you want to cool. The two units are connected by twin refrigerant tubes small enough to fit through a narrow hole in the exterior of the home. As it’s so unobtrusive, the completely ductless iSeries installs with remarkable ease, usually within a single day. 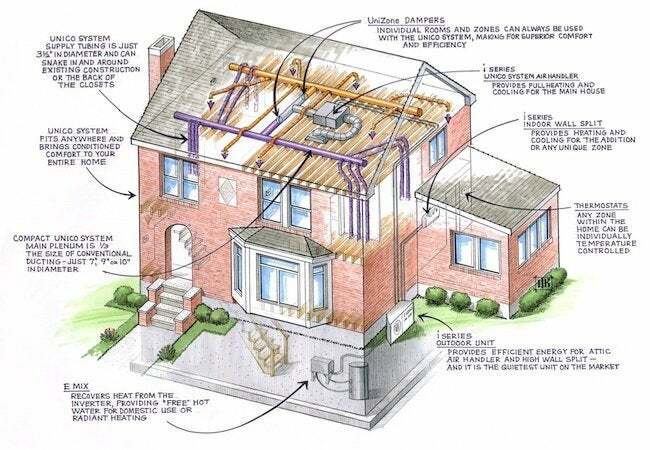 Impressive as that may be, the typical homeowner appreciates the system’s other benefits even more—its exceptional energy efficiency, its top-flight performance, and its versatility. The Unico iSeries helps minimize utility bills by sidestepping at least two of the most energy-hungry aspects of traditional HVAC. For starters, mini-splits involve zero ductwork. That’s critical, because ducts are notoriously leaky, often losing enough energy to compromise the efficiency of the overall system by a whopping 25 percent or more. Therefore, simply by virtue of being ductless, the iSeries wastes less energy (and fewer dollars). Plus, instead of turning on and off, over and over, in a cycle that drives up operating costs, the iSeries saves by running continuously at a low power level. You hear it time and time again: Cooling costs a small fortune. But thanks to systems like the iSeries, that no longer needs to be the case. To be sure, there are many compelling reasons for a budget-conscious homeowner to remove the window AC and put in a mini-split like the Unico iSeries. Ultimately, the iSeries appeals not only because it’s efficient, but because it combines efficiency with stand-out performance. When you spend time in a room cooled by a window AC, you’ll notice that the farther you move from the unit, the less comfortable you feel. 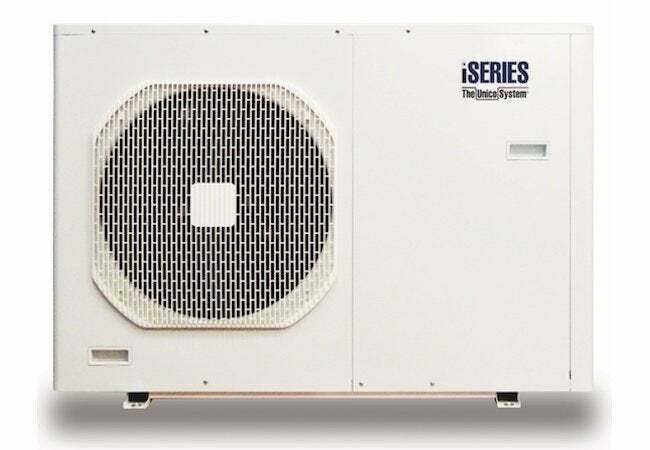 The iSeries, in contrast, maintains a uniform temperature thanks to two of the system’s features. First, because the high-wall unit mounts within the conditioned space, it can monitor the ambient temperature and automatically adjust its output to match the demand at any given time. Second, thanks to an integral fan that promotes even air distribution, hot and cool spots are eliminated. One final key point: Whereas window units are known to make a racket, the iSeries generates no more than 23 decibels of sound in the course of operation. What does that mean? It’s as quiet as a whisper. A single window AC can cool only one room, but the iSeries can do a whole lot more. Certainly, you can use the Unico mini-split to cool one designated space, but you can also employ the technology for whole-home climate control. Configurations vary, but fundamentally, with multiple indoor units working in concert with one or more outdoor inverters, you can extend the efficiency and performance of the iSeries to any number of “zones” within your home. Whether a zone comprises one room or an entire floor, it can be controlled independently from the others. That way, you can target climate control to certain areas so you don’t end up paying for the energy consumed to cool unoccupied spaces—something homeowners with central air often must do. Likewise, if one family member likes things a bit cooler, you can set the thermostat down a couple of degrees in the zone that includes his or her bedroom, while keeping the temperature higher in the rest of the house. In other words, zoning gives you a fine degree of control. As if all these features weren’t enough, the impressively versatile Unico iSeries has one more trick up its sleeve: It offers both cooling and heating. 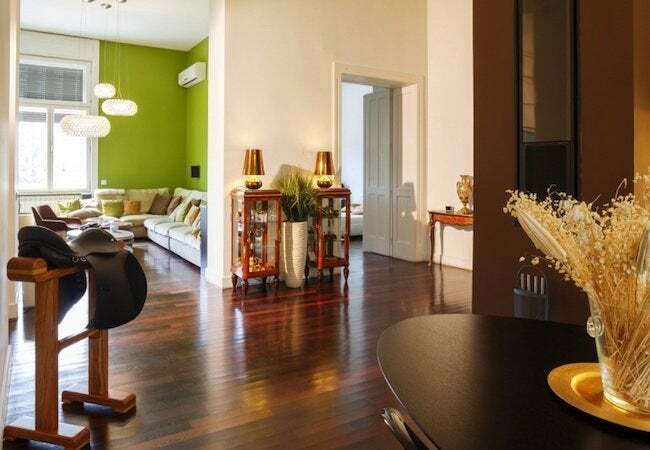 To cool a space, the technology pulls heat from the home and expels it outside. For heating, the system operates in reverse, drawing heat from the air surrounding the home (even at temperatures as low as -35 degrees Fahrenheit) and sending it indoors. This capability makes the iSeries an especially wise choice for cooling spaces in the summer that also tend to feel too chilly in the winter. Just think—one system can keep you comfortable not only at the peak of summer, but year-round! This article has been brought to you by Unico System. Its facts and opinions are those of BobVila.com.